LeBron James is switching teams for the third time in his career. The first two occasions when LeBron James switched teams, he did so with the pieces either already in place or on the way to create a title contender. In making his decision to join the Los Angeles Lakers in free agency, James showed he’s willing to take the long view – something that has gone against his win-now ethos during the prime of his career. 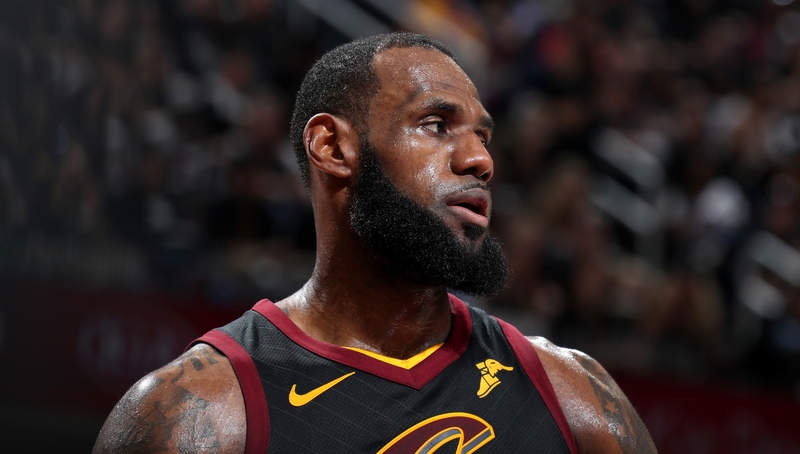 LeBron is no closer to beating the Golden State Warriors today than he was last month after the Cleveland Cavaliers were swept in the NBA Finals. He isn’t coming into a team with star talent already on the roster, nor does he appear to be bringing along anyone of his ilk to offer him support. By and large, what James has around him is a bunch of young, inexperienced players and spare, discarded parts. He just barely carried a similar cast of characters through a weak Eastern Conference field before being dismantled in the Finals, and better weather, a new time zone and the Lakers mystique isn’t magically changing that outcome now. James knows this. A man who wears a hat with the words ‘There is No Magic Pill’ doesn’t suffer from delusions of grandeur. The Lakers are not yet a finished product and they might not be for another year at least. But that’s where the appeal of Magic Johnson likely drew James. The same legendary vision LeBron and Magic share as players will benefit them as team-builders with this DIY project. It’s certainly a project, but the tools are there: a young core that can either continue to be developed or used in a trade for another star, significant cap space on the horizon and the lure of Lakers exceptionalism, which James just added extra juice to. It wasn’t enough to land Paul George, who despite being a Southern California native and having already expressed a desire to don purple and gold, chose to stay in the friendly confines of Oklahoma City and re-up with the Thunder. But Kawhi Leonard remains very much in play, whether the Lakers want to push their chips into the middle now and trade for the San Antonio Spurs star, or opt for the more prudent route and wait until he hits free agency next summer. 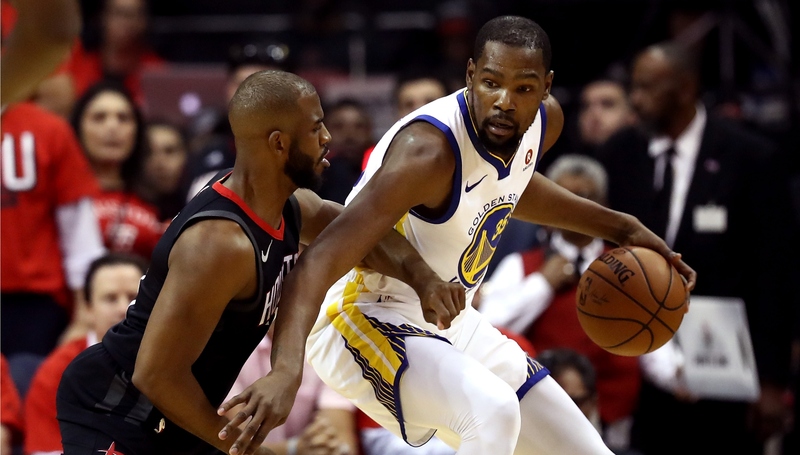 And regardless of Leonard’s fate, a loaded 2019 free agency class – potentially featuring game-changers like Kevin Durant, Jimmy Butler, Kyrie Irving and Klay Thompson – means the Lakers can throw multiple darts at the board and hope one or more stick. Maybe LeBron’s sidekicks arrive through free agency or perhaps they come via trades, but either way the Lakers have flexibility that James doesn’t appear to want to compromise. It’s why he surprisingly agreed to a four-year deal with a player option for the third season – an eternity in LeBron’s timeline. After inking one-plus-one or two-plus-one deals during his second stay with the Cavaliers, James is affording the Lakers a luxury that Cleveland’s front office never were. Whereas the Cavaliers were forced to exhaust their assets in the name of winning now, the Lakers can take their time in forming a championship contender that is built to last. None of this is a foregone conclusion though. There will be a honeymoon stage in which James puts on a brave face and endures a relatively mediocre campaign, but at 33, he doesn’t have throwaway seasons at his disposal, even if he remains close to his peak. At some point, the Lakers will have to deliver a team LeBron can compete with, while he’ll have to deliver a ring. That’s just the level of expectation when you get a marriage of arguably the best player ever and arguably the most iconic franchise in all of teams sports. The stopwatch has been replaced with an hourglass, but the sands of time continue to fall. LeBron James is leaving Cleveland for Los Angeles. LeBron James had not just the NBA, but the entire sports world buzzing after making his decision to join the Los Angeles Lakers in free agency on Sunday. 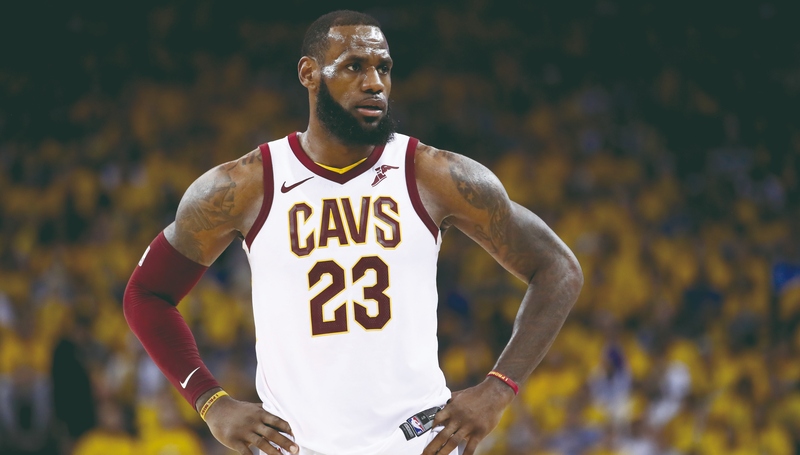 The NBA was holding their collective breath this summer in anticipation of James, who is leaving the Cleveland Cavaliers for a second time, but not before delivering the franchise an iconic title in 2016. James’ decision was announced in the most nondescript manner possible, with his agency, Klutch Sports, making the announcement with a simple press release. It was practically the antithesis of ‘The Decision’, the bloated television special James did back in 2010 when he switched teams for the first time by leaving the Cavaliers for the Miami Heat. 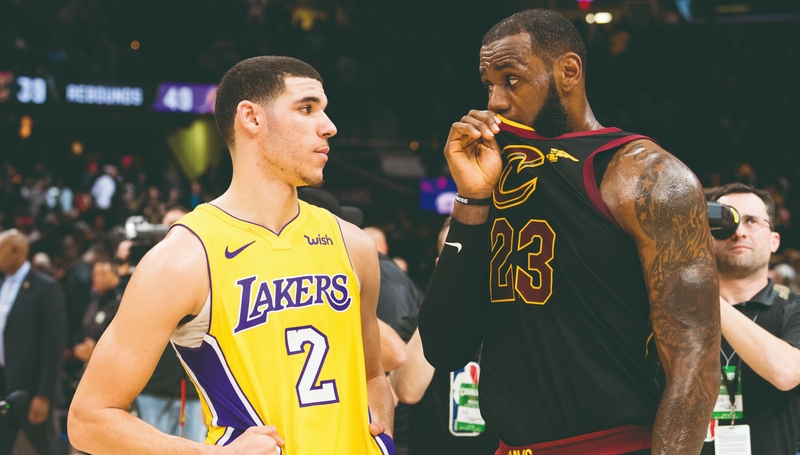 LeBron’s new teammates, former Lakers legends, other players around the league and even celebrities took to social media to react to James coming to L.A.
Chris Paul and Kevin Durant met in the Western Conference Finals this past season. The first few hours of NBA free agency were unsurprisingly action-packed as several players, including some top-tier stars, agreed to deals to take themselves off the market. Paul George returning to the Oklahoma City Thunder on a four-year deal was the biggest story of the first day, but there were enough fireworks to go around, even if LeBron James held off on his decision. Here’s a round-up of some of the key free agents who committed on day one. After LeBron, Durant was the best player on the market, but he predictably and promptly re-signed with the Golden State Warriors to remove any doubt of him potentially leaving the defending champions. 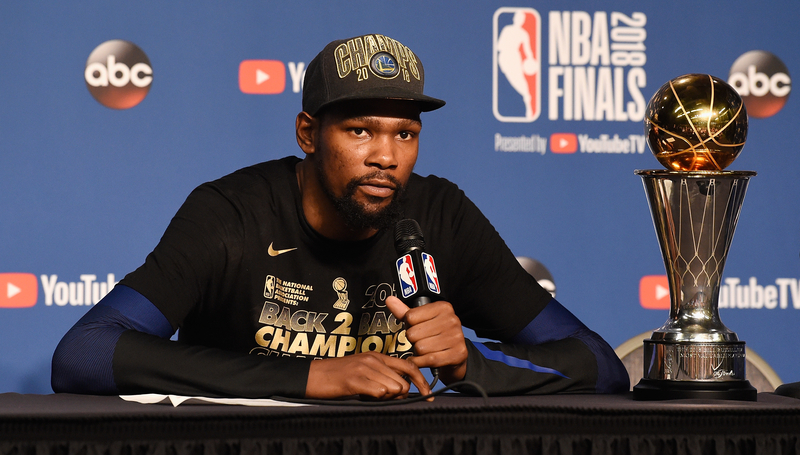 Durant agreed to a two-year, $61.5 million deal that allows him to enter free agency again next year, so he essentially chose flexibility over a long-term contract that would have paid him a starting salary of $35.7 million. The savings will greatly reduce Golden State’s luxury tax bill. After coming within a win of the NBA Finals this past season, the Houston Rockets had no choice but to bring back Paul for another run. The sides settled on a four-year, $160 million max deal which allows the Rockets to keep hold of their star without surrendering a fifth year when Paul would be 37, while the point guard gets one last pay day. With Paul’s age, it seems almost certain that he won’t be worth what he’ll be paid near the back end of the contract, but it’s a concession the Rockets had to make. The Dallas Mavericks finally got the centre after he slipped out of their grasp in 2015, with Jordan agreeing to a one-year deal worht close to the $24.1 million player option he declined with the Los Angeles Clippers, according to ESPN. Jordan will hit free agency next summer when more teams are expected to have cap space, while Dallas get a big man who is one of the best finishers at the rim and rebounders in the league. The Mavericks want to get back to winning games and this move certainly helps with that. exactly what happened as the sides agreed to a five-year, $148 max contract. While Denver get the security of locking down Jokic for the foreseeable future, they’ll now have to get creative if they want to stay out of the luxury tax, or at least not pay as much as they’re currently slated to. 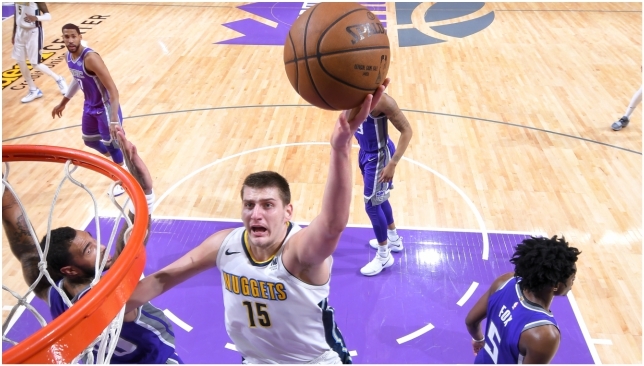 Still, it’s worth it to keep hold of Jokic, who is a franchise cornerstone and still just 23. Ariza wasn’t one of the top players available, but his decision to take a one-year, $15 million deal with the Phoenix Suns could spell doom for the Houston Rockets and make it easier for the Warriors to get back to the Finals. His ability to play either forward spot as a 3-and-D player was vital to Houston’s success and versatility against the Warriors. Now, Ariza will try to help elevate the young Suns, who should be much improved and have an outside shot at competing for a playoff spot. Trevor Ariza wasn't taking another discount deal. He has always been a guy who just wants to be respected & appreciated. Houston lost a significant piece. Rugged defender. Locker room leader. It'll be interesting to see how the Rockets replace him.